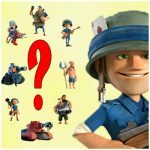 Rain Maker: overview, best combination and other | Boom Beach. All about the Game! 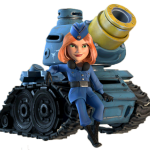 Rain Maker is the second proto-troop in Boom Beach that was implemented into the Game with the last Game update. Mortar on caterpillars or in other words a mixture of Tank and Mortar but with some significant differences (much more range of fire, definitely bigger damage power and ability to shoot by four bombs simultaneously). 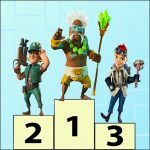 In this post I’d like to share my impressions from the first day of using Rain Maker and some information about best attacking combo and best hero for it. Rain Maker, like Lazortrone is available only if we have special coupons which we can buy from Trader. The price for one coupon on 5 lvl Rain Maker is 1,000,000 of gold. 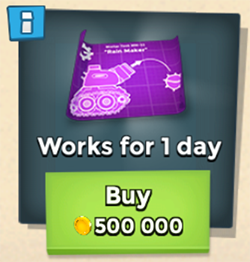 One coupon – one day of proto-troop work. Now about my impressions… This unit is a monster! As for me, I think that Rain Maker is much better than Lazortrone! 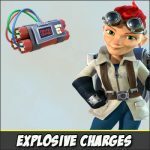 Long range of fire (outrange all defensive weapons except of Rocket Launcher, Shock Launcher and prototype defenses), big damage power and accuracy of shooting make it really dangerous weapon almost for every PVP base! Six Rain Makers and 10 medics can easy overcome almost every defense in the Game (I mean PVP bases). 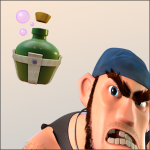 Bravo SuperCell – this is really an excellent unit! What do you think about Rain Maker? 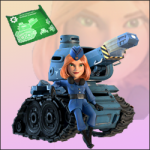 Awesome troop! I like it very much! I liked it, in general... It is a pity that only for 5 days ... In any case Rain Maker is better than Lazortrone. Bad. I've waited for something more original. As for the best combination with Rain Makers, I think such combination is 7 Rain Makers (or 6 – depends on gunboat energy…), 5 medics (or 10) and Dr. Kavan with his Second Wind ability! Any idea if the plans are stackable? 1 set lasts 24 hours. Can I buy all up front? Yes, they are stackable. Lots of fun, clear your map with one boost. I use 8 of them with Energy Drink.